The Ignatian and Jesuit world has a language of its own. When you are a student in Jesuit higher education, you are immersed in the terms, historical references, and common concepts of exercises, examen, reflection, etc. 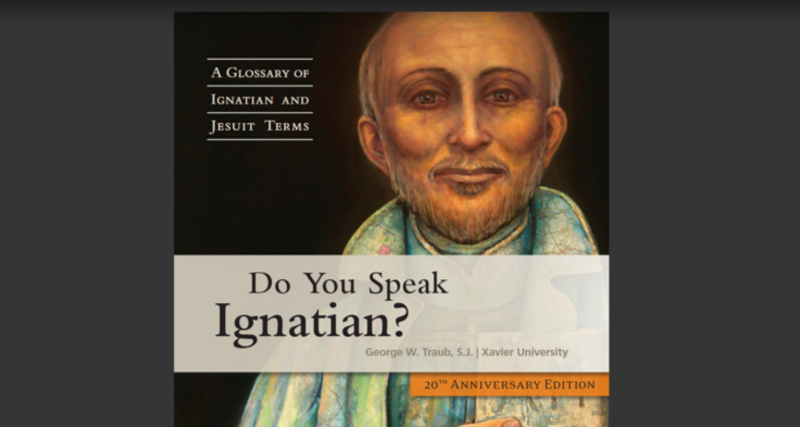 This book is a great refresher for all alumni to get reacquainted with these Ignatian ideas. You can read it online or order your own copy of this mini-glossary.